A is for Almejas: That is Spanish for clams. Fresh clams are available year around at little taco stands along the highway. Clams make good ceviche. To dig clams, take the family and have fun digging little clams or oysters at the village of Guasimas located just past Empalme, best in the wintertime. Take along limes and hot pepper sauce to make a picnic out of it. Biking is great in this town where there is little traffic to worry about. There is a long bike path on Beltrones Highway along the ocean and more paved pathways around the Marina. Rent bikes from Off the Edge. Right on the Beltrones main road just past Blackies Restaurant. Camping: Overnight camping is not allowed on the beaches close to private homes or the big hotels, but camping is allowed a little bit further out on the edges of town. A good camping location is the beach between San Carlos Plaza Hotel and Playa Blanca. Catch-22 movie set: Drive on the main highway through town and the Bahia as far as Kilometer Markers 19-20. Watch for a broad, well traveled dirt road on the right side. This road was used as a runway during the filming of the movie Catch-22. Turn in here, drive a short distance, and let the kids clamber around the remains of the old sets for the movie. 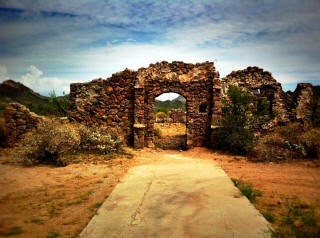 To tell the truth, not much is left of the once fascinating movie set, but it is still fun to explore. 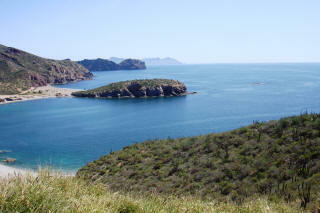 Diving: There are many good Dive companies in San Carlos and diving locations in the Sea of Cortez. Try El Mar at 226-0404 on Beltrones, Gary’s Dive shop at 226-0049 also on Beltrones, or Ocean Sports 226-0696 down behind the Marina building. Hiking: The town of San Carlos covers many thousand square miles of land, largely unpopulated, and it has 30 miles of beaches for hiking. 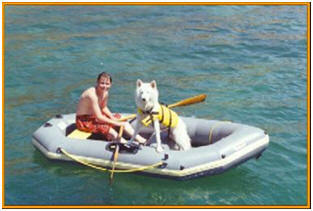 There is, a good deal of unspoiled natural habitat where birds and small animals can be seen. Adventurous hikers can make it up the Tetas de Cabra. (Not suitable for little kids) Rock hounds know where to look for interesting crystals and arrowheads. Summer is not a good season for hiking. In the hot summer months there are many snakes in the fields and hills, and some of them are poisonous. The intense heat and strenuous exercise are too much for children. Horseback Riding: Astrids Ranch located inside the Paradiso Hotel, offers guided trail, desert and beach horseback rides everyday of the week. (622) 227-0267 for more information. Ice cream: There is something special about Mexican ice cream. Everybody loves Thrifty Ice Cream on the north side of the road as you enter San Carlos. The ice cream at Jax Snax is also great. Jet Skis: It doesn’t get more exciting for kids than a ride on one of these machines. (Warning! This is not cheap! ) Rent jet skis on the beach at San Carlos Plaza Hotel or at “Off the Edge” on the main highway. 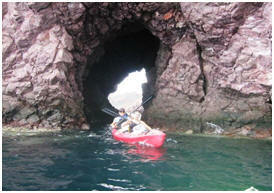 Kayaks: Kayaking is a safe, easy to learn sport that you can enjoy on the beaches and in the coves around San Carlos. Good spots are Piedras Pintas (Frenchy’s Cove) , Shangri-La Cove , Martini Cove, and San Carlos Plaza Hotel beach . Ocean Sunsets: After a fun filled day here in San Carlos, there’s nothing like relaxing for a half an hour to watch the spectacular sun sets. 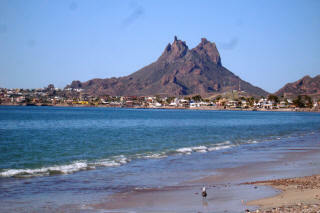 Lots of people gather at the Soggy Peso on Algodones beach or take the Margarita cruise from Gary’s dive shop. 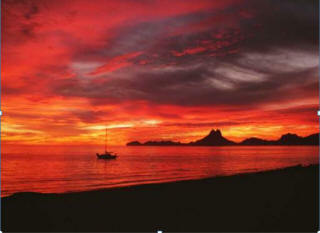 Pirate Ship: – Rey del Mar 2-hour fun-filled tour of the Guaymas harbor that leaves from the malecon. They have music, games for children, a short show, prizes and …. pirates! Friday, Saturday and Sunday evening from 5:00pm – 7:00pm. The cost for adults is 150 pesos and kids are 50 pesos. You can buy your tickets at the ship for a cruise that same evening. Onboard you can purchase refreshments, including alcohol, and snacks. 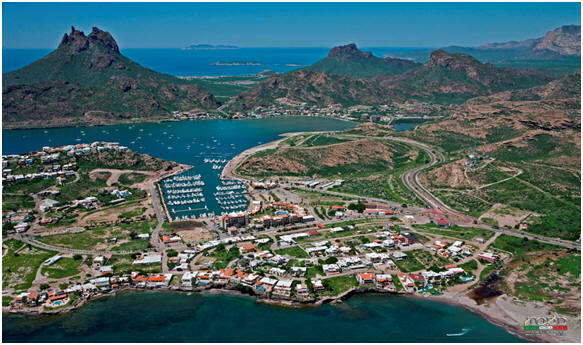 Pearl Farm in Guaymas: Daily tours of the pearl farm start on the hour beginning at 9:00 am to 3:00 pm Monday through Friday. 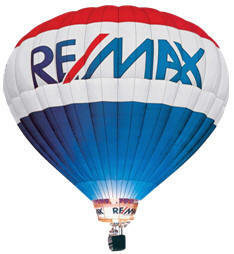 Open on Saturdays 9:00 am to 11:00 am. (without tours.) 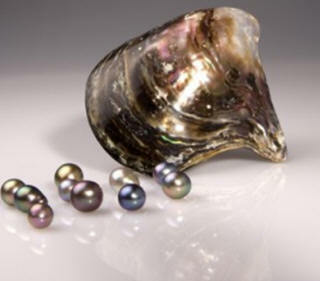 For more information: (622) 221-0136 Souvenir Shop offers a lovely assortment of handcrafted jewelry with these unique pearls. Shells and Tide Pools: Shell hunting is fun for kids on almost any beach. The best spot is San Francisco Beach. Tide pools at Playa Piedras Pintas and Frenchy's Cove right next to it are excellent and kids can snorkel there too. It is fun to land on Honeymoon Island in a kayak or rubber dingy and look for pretty rocks and shells. Shell collecting is best at low tide after a big storm has washed the shells ashore. Lowest tides occur in the winter months at the full moon and the new moon. Snorkeling: It’s not always warm enough to snorkel in San Carlos. From November through March the water is too cold for kids. By April the water temperature reaches 72 degrees and it keeps getting warmer until it drops down to 71 in November. A wonderful safe place for children who can swim and snorkel is at Martini Cove, where the water is from 8 to 20 feet deep . For children who cannot swim, the pebble beaches from the Dorado Condos and El Club de Playa (Formerly Shangri-La Beach) are good. The water remains shallow out as far as 50 feet. T-shirts: There are too many good T-shirt places to mention them all. Z’s Graphics above Gary’s Dive Shop in San Carlos is a little different though. They will print a shirt with your kid’s photo or whatever you want on it. Video rentals: Videos are available in San Carlos and in Guaymas near Ley’s, but there are no VCRs for rent, so bring your own. Water Skiing: Water skis are for rent locally. Water skiers and Para sailors especially like the beach in front of Soggy Peso and Paradiso Resort. Zoo in Hermosillo–also the children’s amusement park, La Sauceda, nearby. 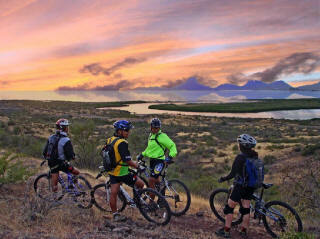 Don’t try this in the heat of the summer, because Hermosillo has a terribly hot climate from May to November.